Jana Duggar Going Through Tragic Loss & Jim Bob Might Be Cause Of Loss! Fans were disappointed that she has not entered courtship! Fans speculated that she had entered into courtship as she has created her Instagram account! But Jessa cleared all the confusion by saying that she is single. But told the fans if they have anyone in mind, they can tell us! Now, let’s focus on her loss! Laura DeMasie was the only best friend of Jana Duggar. At one point she started living with Duggars and became an integral part of the family. She helped her siblings in education and all part. Well, she was called as a better half of Jana or girlfriend. But she clarified that there’s nothing more than friendship! Isn’t she in her life now? Her rumored boyfriend was arrested! Jana’s rumored ex-boyfriend was arrested for sexually assaulting a minor. Well, he is not pleaded guilty regarding the case. Amid all the drama she is updating her Instagram account. Fans noticed that there was a board of Love in the room. She wrote, “Love this quiet little nook!” When a fan asked, who gifted her the love. She answered her sibling Jason. And fans were disappointed. But fans are confused about the abrupt departure of Laura! Well, she might be planning the job for a much longer time! But Jana didn’t mention anything of her departure on the social media. She is her best friend and when any of your BFF just moves away. It’s kind of fishy! According to the sources, fans have speculated a conclusion that Jim has strongly encouraged Laura to move out of the house! Well, Jim might have thought that the lesbian daughter tag can devastate her brand value! 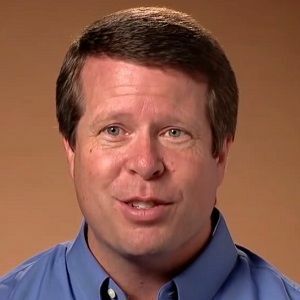 As we know that Duggar has ultra-conservative values. So, this might be the case.